This is my one hundredth post... so crazy! In the few short months I've been blogging, I've already had so many great opportunities and gotten to know so many lovely people. I just wanted to thank you all for hanging around as I'm figuring the whole thing out! Here is a sneak peek of one of my new designs that I've worked up for Indie Craft Parade. 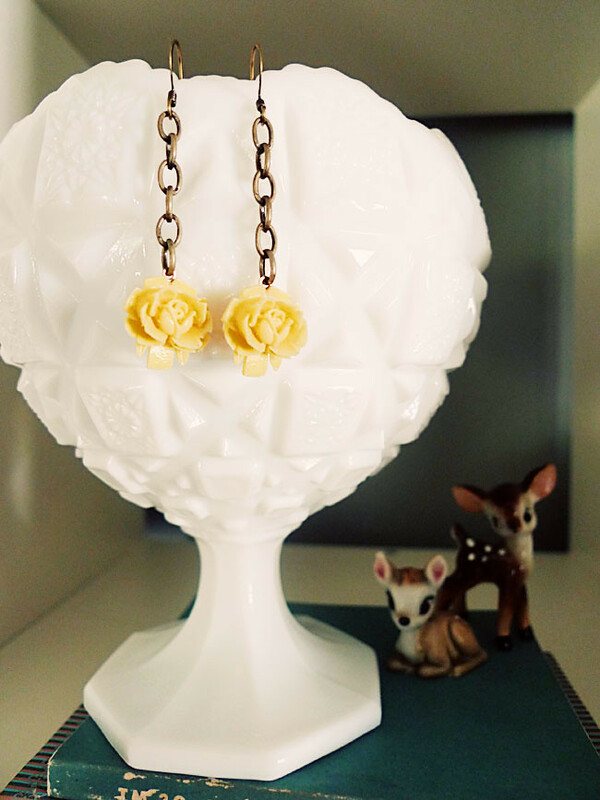 These butter yellow rose earrings are my new favorite, and I hope you like them too. In celebration of my one hundredth post, the first person who comments will win these earrings! Please leave your email address so I may contact you. Congratulations on 100 posts, Erin! darn it! a day late and a dollar short! Lovely! I can't wait to see more! I can't believe it's a hundred already! And I LOVE these new designs!